This summer, Coca-Cola Sweden launched its bottles with labels that promote over 90 holiday destinations. 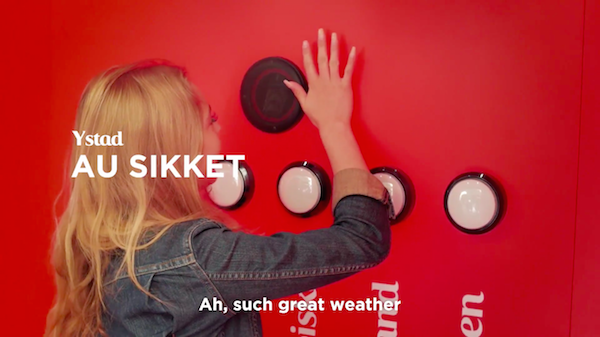 The brand decided to highlight some of these Swedish destinations on the labels, and came up with the ‘Dialekt-o-maten’, a vending machine that accepts dialect as payment. Sweden is known for its numerous local dialects, each with distinct phonetic and grammatical characteristics that can be confusing, even for Swedes. ‘Dialekt-o-maten’ was powered by unique codes capable of reading the user’s voice. The technology could identity the intonation in language—the most distinguishing feature of Sweden’s various dialects—and takes into consideration voice, tempo, and tone mode to establish how accurate the user is to the original dialect. 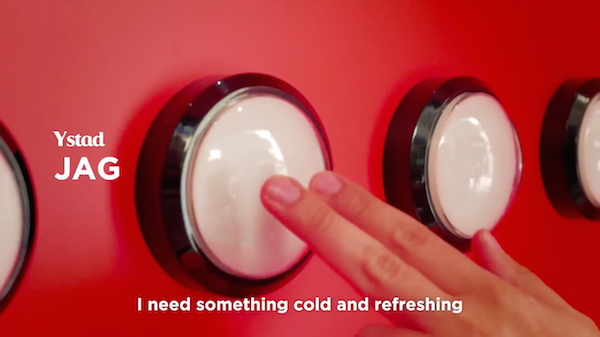 The vending machine was set at Stureplan in central Stockholm, where enthusiastic fans and journalists were invited to try their hands at it. Participants were awarded with an ice cold Coca-Cola depending on how accurately they could pronounce the different phrases. The campaign saw ‘Smögen’ surface as the most popular dialect and the easiest to imitate, while ‘Abisko’ turned out to be the least popular dialect, and ‘Vadstena’ the hardest to imitate.